Many people have successfully made substantial fortunes from investing over the years, in various ways and styles, using many different methods. They would have had one thing in common: a fixation on the management of their downside risk. Risk is inherent within the investment structure. “It comes with the territory” – to achieve a return there will always have to be some risk taken. The successful investment strategy will always have the management of this risk at its heart. Indeed, get this right and just about everything else takes care of itself. The biggest requirement in this regard is to actually understand the risk being taken; to quantify and calculate the risks in advance of any decision. Most people who invest are more comfortable with risk once it is known and understood. It is often the not knowing, or worse, the surprise of an unexpected loss, where problems occur. 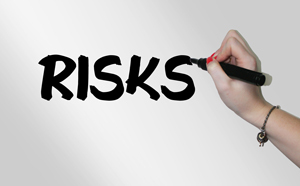 Experienced investors are not risk adverse – simply shy of taking on risks which are unknown. The challenge in financial planning with respect to risk is to line up the amount of risk being taken, to quantify and show the risk level in advance, so that informed investment decisions may be taken. The ultimate aim for investors is to get the targeted returns from their investments (‘the reward’) from the lowest risk possible. Optimising the risk/reward ratio is the goal. This can only be done if numbers are applied to this equation. In this respect, risk needs to have some form of measurement applied which is why so much work has been done in recent years risk rating funds and other investments. Risk is often a proxy for loss as it is losses that harm investors. Anyone who invested in tech stocks in early 2000 will testify to that; losses of around 90% in just a month or two were not uncommon. An investment that falls 90% will probably never recover. Even a fall of 50% (not unusual and not extreme) in an investment requires a subsequent recovery of 100% in its price. Understanding the importance of avoiding losses or restricting them and managing this process, is a central pillar of financial planning. Risk can be measured and assessed; it can be managed. Learning how to do this is an invaluable aspect of becoming a successful investor.